These 17 inch coconut burnishing pads are meant to be used dry with one of our 17 inch high-speed burnishers. This type of pad is best used on finished vinyl tile, concrete, or a soft to medium type floor finish to give the expected high gloss look. An added benefit is the amazing coconut scent it gives off! They are manufactured in the United States with quality and the environment in mind by using recycled packaging and bio-degrade very quickly in landfills. Need a different type of pad to fit your floor type? 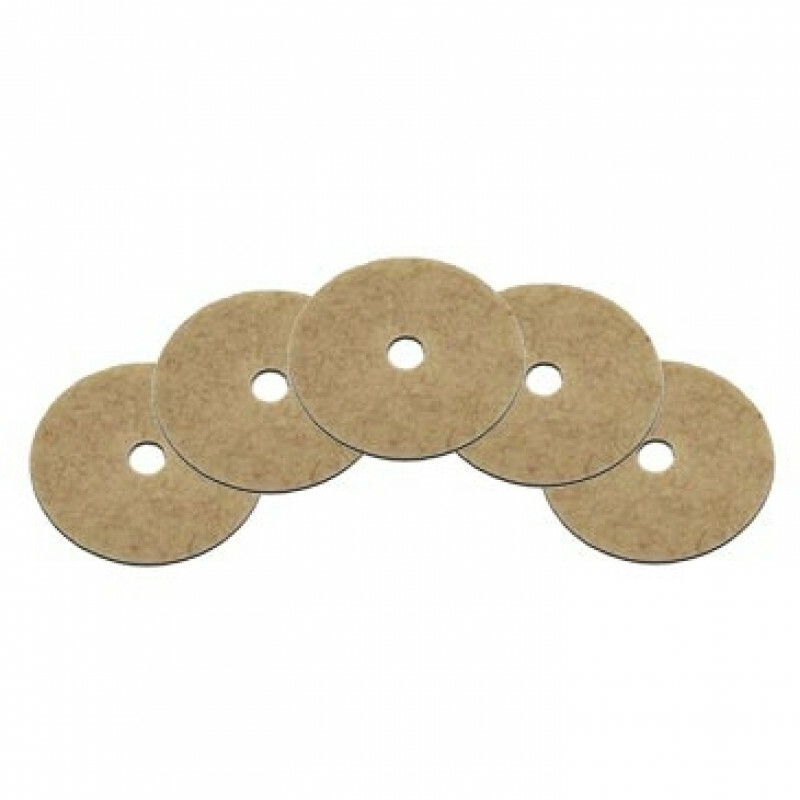 Please feel free to take a look at our full line of polishing pads.